Hi, I am Sheryl Loja-Dumale. It was late in 2018 that I had this epiphany. I said to myself that I will focus on a certain skill to nurture for the next year to come. I chose Copy writing. Growing up, I had a constant fascination with words. In fourth grade, I excelled in vocabulary, spelling and reading comprehension. It was at that time that the first novel that I read was “The Dead Zone” by Stephen King. Many of my friends said that it was pretty weird that I read Stephen King instead of other books that are more appropriate for our age. I ignored those comments because I love to be different. Most of the time, I read aloud to also practice my pronunciation of words. Whenever new words pop up in the book, I diligently look it up in the dictionary and remember the words for practical application. In school, I never had the chance to formally nurture my love for writing because I spent my weekends playing sports like lawn tennis and volleyball. But at home, I spent a lot of time writing short stories and journals. Essays, for me are the best part of exams. I love to write stories about love, teenage angst, and current events. I am an only child and in my teenage years I had no one to share my thoughts with, so I put them all in writing. I chose Bachelor of Arts major in Mass Communications. In college, I excelled in my journalism, advertising and theatre classes. My Waterloo is Maths. After college, I entered the corporate world. My love for creative writing was set aside. 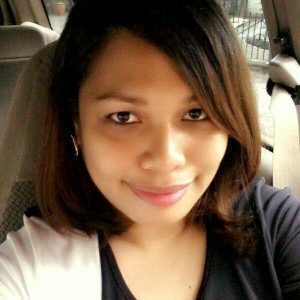 I worked for the BPO industry for 7 years and marketing and events for 1 year. I held pretty challenging positions with enormous amounts of stress, but made little money out of it. I realised earning a small amount of money and not doing my passion at the same time is totally not worth it! In 2014 I discovered freelancing. I became a Virtual Assistant. I have worked as a transcriptionist, customer service representative, email support, social media manager, graphic designer and copywriter. I did all those jobs with passion but I chose to stick with copy writing as it is the one that challenges me and at the same time gives me joy. But to clarify, I am very much open to other tasks. In fact, I have made room in myself to learn other skills that are beneficial to clients worldwide. I want more skills in my arsenal. After all, my true purpose is to be instrumental in the success of small to medium business owners and I want to establish their online presence and increase their sales revenue through copy writing. For a copy of Sheryl’s resume please click here.